4 Bedroom Detached House For Sale in Exeter for Guide Price £325,000. 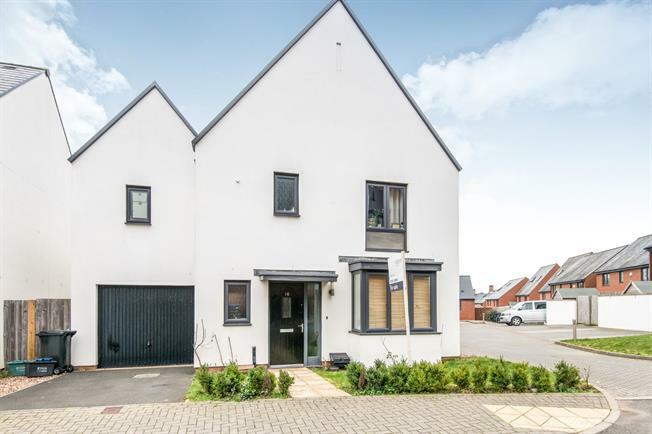 This property's price has dropped from £350,000 to Guide Price £325,000. This lovely property is only a few years old and has a lovely homely feel. The property comprises of an open plan lounge/ diner with French doors leading onto the garden. Off from the lounge there is a modern kitchen. There is also a down stairs WC. To the first floor there are four good sized bedrooms one with en-suite as well as a family bathroom. Outside there is an enclosed level garden mainly laid to lawn. Garage with parking in front.